The ABLOY CL104 cam lock has been built to exceptional standards and offers the best in security for keeping your equipment safe. The CL104 is built for even the most demanding security applications from cash dispensers to parking meters and more. This level of security is made possible with the patented cylinders, strict key control, and extensive master keying capabilities. 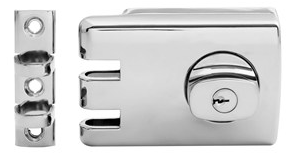 The ABLOY CL104 cam lock features a highly unique and innovative construction that you would be hard pressed to find with any other locking system. This includes rotating detainer discs and a cylinder housing made from chrome plated brass. The construction of the CL104 makes it virtually impossible for anyone to pick. 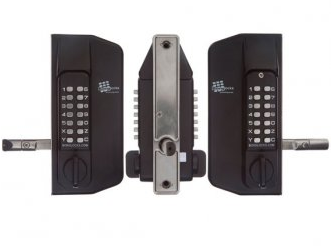 Only the correct key can be used to disengage the cylinder and align the gates on the discs. This patented disc blocking system (DBS) acts as a deterence if anything but the correct key is used. ABLOY is well known for developing cam locks that are built to last and the CL104 is no exception. This model combines the latest in engineering and production technology that delivers superior strength. Case hardened steel components are used to make break-in attempts extremely difficult. The ABLOY CL104 cam lock employs rotating detainer discs and a unique operating principle that other locking systems simply cannot match. Nothing is left to chance with this cam lock from ABLOY. Springs and pins make locking systems highly susceptible to damage from environmental conditions. 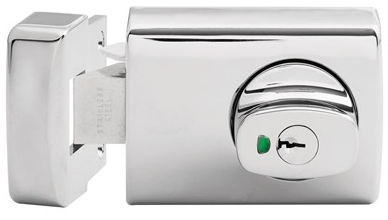 Unlike other types of locking mechanisms, the CL104 does not contain springs or pins. This is done intentionally to prevent the mechanism from malfunctioning. The ABLOY CL104 cam lock incorporates some of the most advanced technology found in any locking system but it is also incredible easy to operate. Left hand operation is also possible with this cam lock. The cylinder is available with the following keying platforms: ABLOY® PROTEC (N) and ABLOY® CLASSIC ©. The ABLOY CL104 cam lock is easily one of the best on the market. Contact us to place an order or if you have any questions about this cam lock. Our team is more than happy to help you with the right products for your needs.